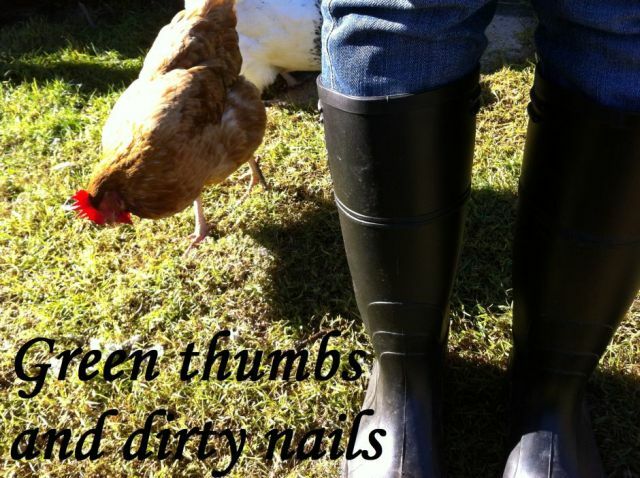 Green thumbs and dirty nails...: A visit to Purple Pear Farm. A visit to Purple Pear Farm. This week I was lucky enough to visit Purple Pear Farm! 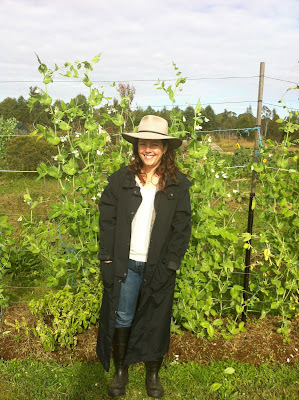 I have been following Kate's blog for a number of years now, and had always been interested in her methods of farming. I am a beginner gardener trying to use permaculture methods in my modest veggie patch. 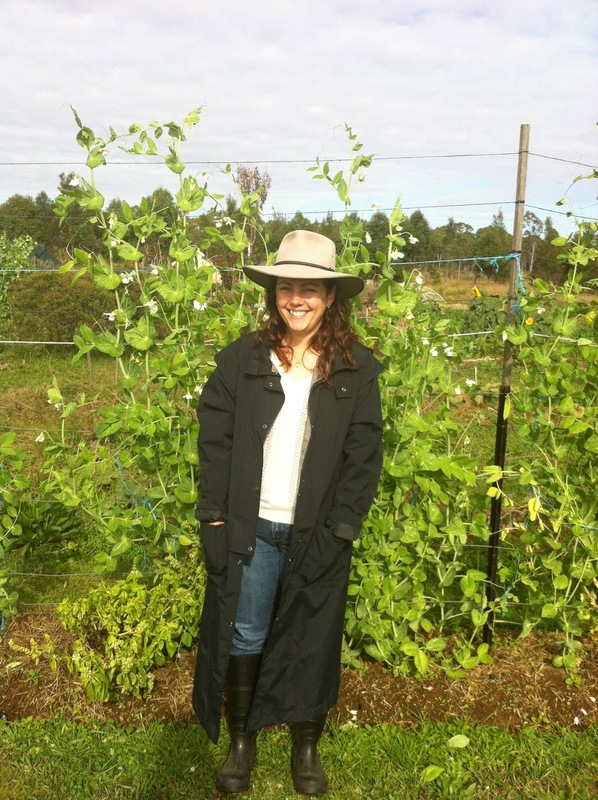 To visit Kate and Marks large permaculture and biodynamic farm was simply inspiring. I went on a tour of the farm whilst Kate described how their methods of farming worked in all the different sections of their garden. To see how an organic garden such as this thrives makes me more determined to learn more about permaculture and push myself to apply these principles even more in my own patch. - Chooks and Guinea pigs can be used as labourers in my garden. I can easily build cages for them and move them about the place as I need the ground worked. - Don't be scared of weeds. These can be pulled and left on the soil to act as mulch. - Eat seasonally. We should be eating the foods that nature is providing for us at the present time. - When one stops picking beans/peas of the plants, they stop producing - must keep picking. - You can train baby ducks not to eat your vegetable plants. - Seedlings need to be 'hardened off' between the greenhouse and the ground. - You can create what you need for your garden from bits and pieces lying around - and this can look beautiful. - We need to create habitats in our gardens to invite birds, lizards and bees. There is still so much to learn! Sam, I'm so glad you're posting again! I missed reading about your adventures in gardening and animal-raising! Don't you just love gardens that are exploding with abundance like this? Hi Sam. Thanks for the lovely write up. Glad to hear that you all enjoyed your visit. it's always lovely to have such a wonderful group of people visit the farm. 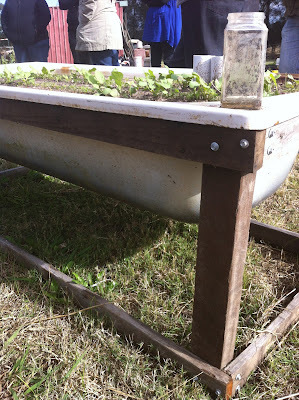 Funny (in a nice sort of way) to see photos of our farm on someone elses blog. Thanks again for your visit It was lovely meeting you and your colleagues.